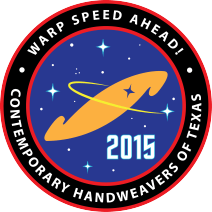 Dont miss the biennial conference of the Contemporary Handweavers of Texas, hosted this year in Austin by the Weavers and Spinners Society of Austin. The conference will be June 24th-28th. Go to https://cht2015conference.wssaustin.org/ for more information!